Dzīvo šūnu metabolisma pētīšana - Zelta Standarts! Living cells use one or both major energy producing pathways - mitochondrial respiration and glycolysis - to meet metabolic demands. Agilent Seahorse XF technology measures cellular metabolism in live cells in real time, via the measurement of extracellular flux (oxygen consumption rate and extracellular acidification rate) to provide insight into mitochondrial function and glycolytic activity. XF technology can be used to determine which pathway is predominant (metabolic phenotype), as well as which substrates are being used for energy production, with results in as little as one hour. Glucose oxidation, fatty acid oxidation, and aerobic glycolysis rates can be readily measured under multiple conditions. A wide variety of live cell types including primary cells, cancer cell lines, and immune cells can be used. XF technology is helping scientists to better understand their cell models and make important discoveries about the critical role of metabolism in cellular function and dysfunction. 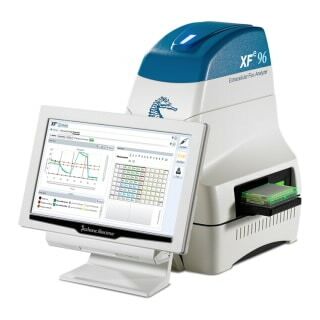 The Seahorse XFe96 Analyzer measures OCR and ECAR of live cells in a 96-well plate format. These rates are key indicators of mitochondrial respiration and glycolysis and provide a systems-level view of cellular metabolic function in cultured cells and ex-vivo samples. 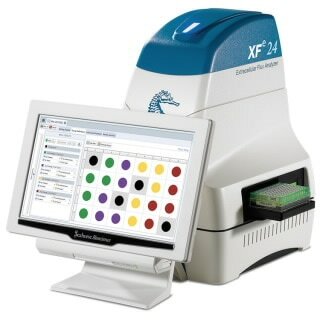 The Seahorse XFe24 Analyzer measures OCR and ECAR of live cells in a 24-well plate format. These rates are key indicators of mitochondrial respiration and glycolysis and provide a systems-level view of cellular metabolic function in cultured cells, islets, and ex vivo samples. 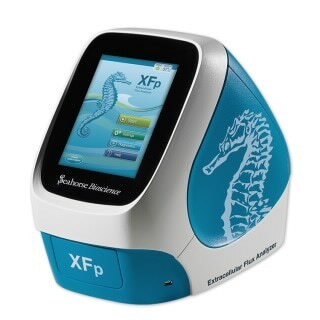 The Seahorse XFp Analyzer measures OCR and ECAR of live cells in a 8-well miniplate format. The quick and easy setup makes the XFp Analyzer ideal for performing routine tests of metabolic phenotype of ex-vivo and other quantity-limited samples.